The Ducati Corse leather jacket has always offered Ducatisti track ready styling and safety features in a jacket that is ready for the street. 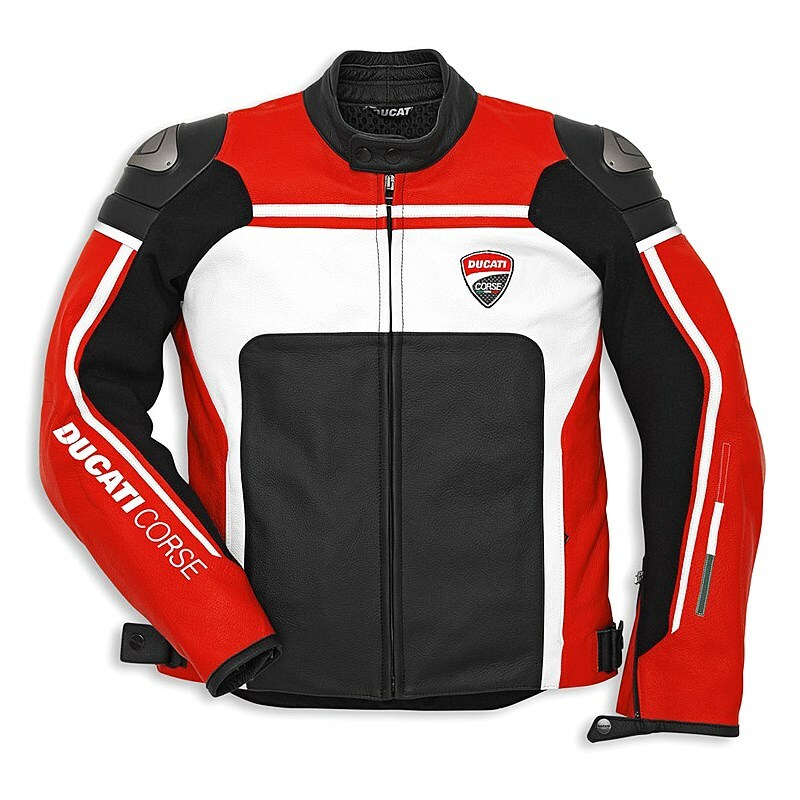 Available in two stylish color choices for 2014 with all the safety and comfort features you'd expect from Ducati Corse: D-skin leather, full length waist zipper as well as pockets for both back and chest protectors. Dainese's unique 3D-Bubble liner facilitates constant air flow through the perforated version to provide a more comfortable riding experience in warm weather without compromising on the safety of a leather jacket. 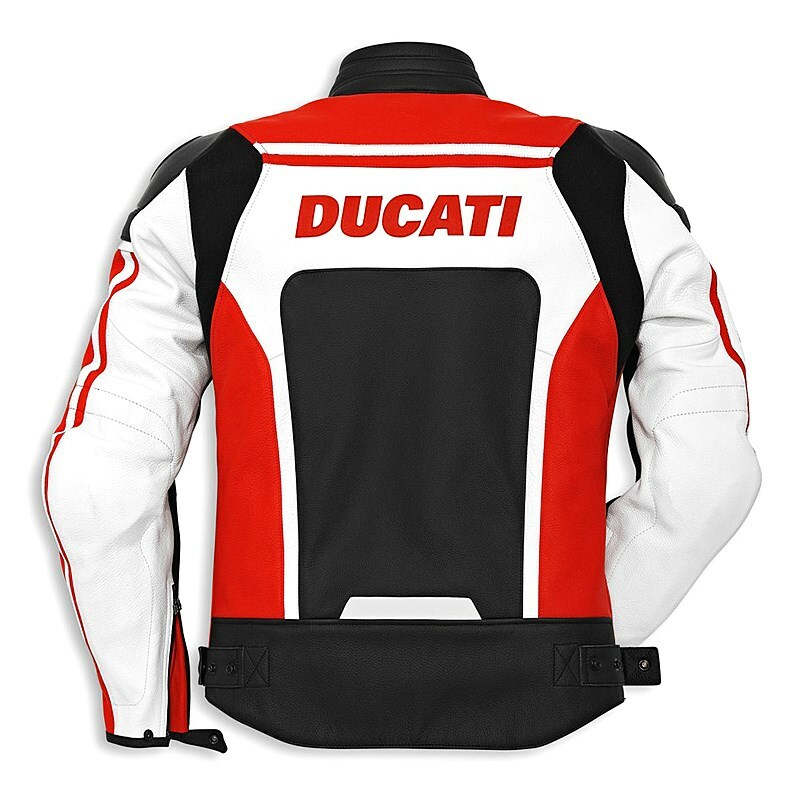 A consistently" top selling style "- the Ducati Corse leather jacket is a must.